Today is the day we’ve all be waiting for: the day of the UFC 229 press conference and the day Conor McGregor and Khabib Nurmagomedov finally came face to face. It’s also Khabib Nurmagomedov’s birthday. 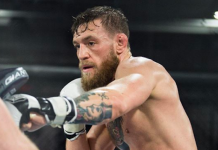 Given this latter occasion, the former UFC lightweight and featherweight champion Conor McGregor offered the reigning champion Khabib Nurmagomedov a glass of his brand new Irish whiskey, Proper Twelve. Unfortunately for McGregor, Khabib wasn’t interested, and promptly turned down this birthday toast. Many of the Muslim faith, to remind, do not drink alcohol. This, of course, didn’t stop Conor McGregor from drinking a glass or two or six himself, and sharing one with UFC President Dana White. 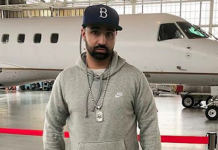 In fact, this UFC 229 press conference quickly involved into a joint press conference for Proper Twelve. 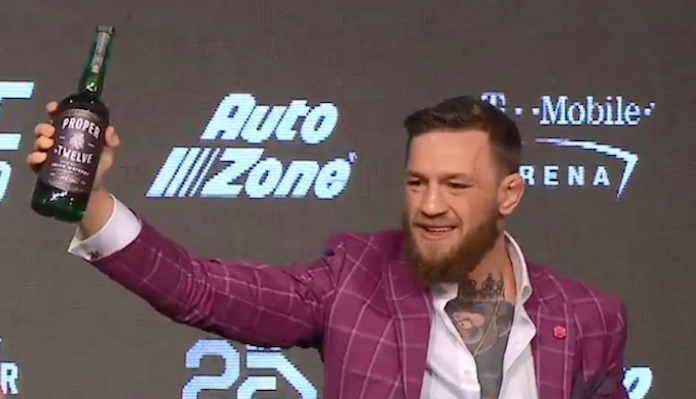 McGregor even revealed that the Proper Twelve logo will be printed on the Octagon at UFC 229. In other words, the whiskey is now an official UFC sponsor. While Conor McGregor frequently plugged his new whiskey, Khabib Nurmagomedov seems to consider the Irishman’s new venture a distraction.